*Every photo is attached to a Project in CompanyCam. 2. Tap 'Add Photos from Device' (see below). 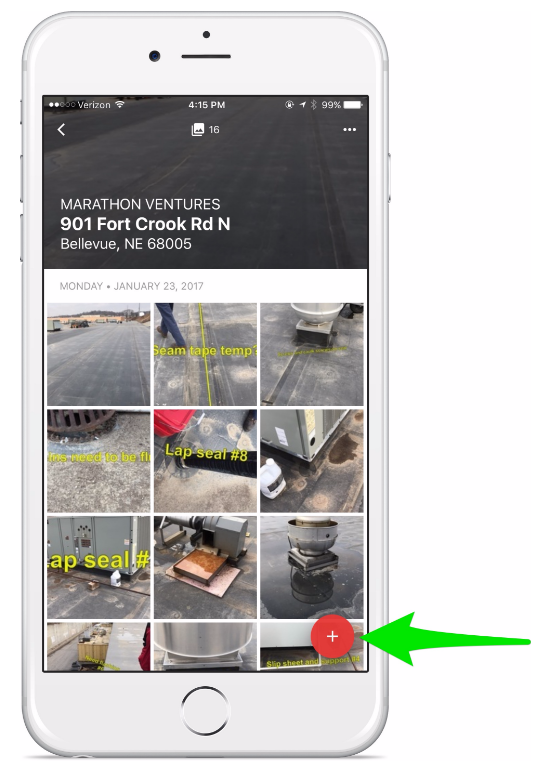 Tap the photos you want to add into CompanyCam, and choose 'Add' in the top right corner. 2. 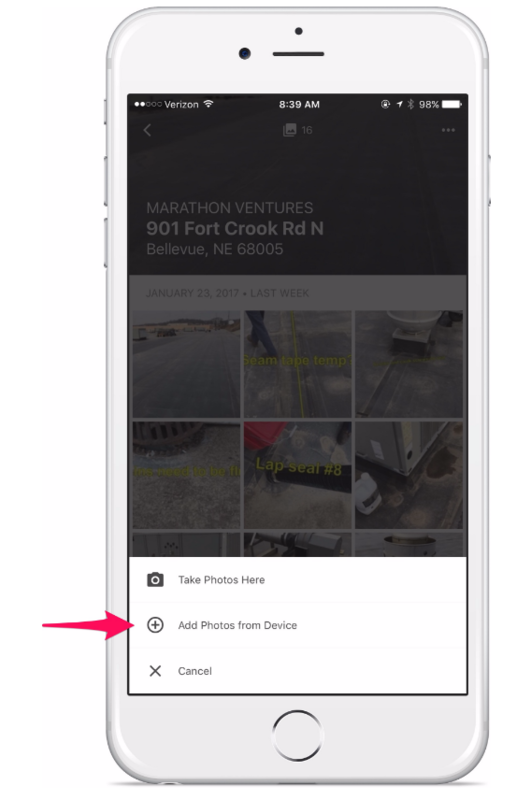 Drag/drop or browse to the photos you'd like to add into CompanyCam. Select photos and hit enter. 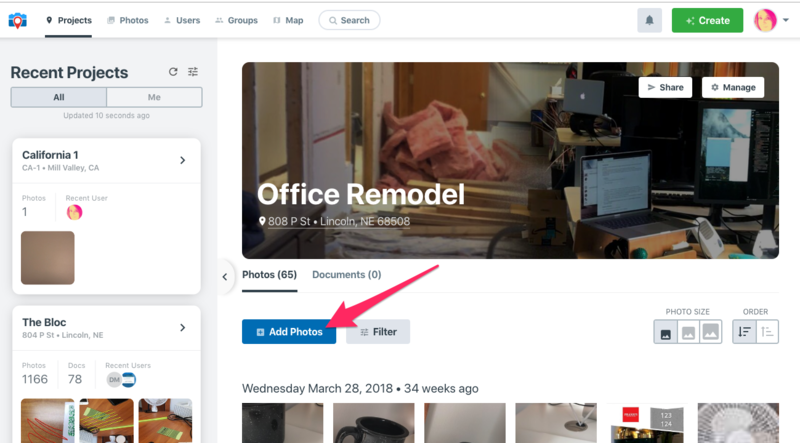 *Note* When you add new photos, the app will pull the date-created information from the photos and organize them by this date.